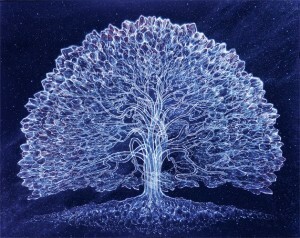 As we approach the solstice I am noticing my body requesting stillness and quiet. There is a natural slowing down that happens when the days get darker. Our ancient ancestors would be obligated to respond due to the simple fact that they had little artificial light. It was natural to sleep a little more and do quieter activities in these months with long nights. Modern society has turned the days around the solstice into one of the busiest and most stressful times of the whole year. With all the family obligations, the holiday season, work, parties, school activities, how are you giving yourself a break? When I was in college and during the less good parts of my marriage I noticed a trend, I was sick every single Christmas for 6 years or so. I wasn’t giving my body the break it was needing. I was, in fact, ramping up the activities and my body responded by getting sick. Forced down time. It took me a while to catch on to the real meaning behind the trend. Once someone suggested to me the idea that my body was responding to both my level of frenzied activity and my negative emotions, I was relieved because I knew the truth of it and upset because that meant I had to change and I was afraid of disappointing people. It was suggested to me that I begin the change in my behavior slowly, start by simply noticing how I felt at the different events during my busy holiday season. Listen to my intuition and what my body was saying. Go to bed early, skip a couple of holiday parties if I need to recharge. Work at finding a way take the pressure off myself. Could I shift my expectations to give myself a better chance of enjoyment? Remembering that the standard notion that this is the “hap-happiest time of the year” is a lot of pressure. For many people, (including yours truly) this is a sad or depressing time of the year. Giving myself permission to just be what I feel and not ecstatically joyful was a huge relief. It was also important for me to let my friends and family off the hook as well. I noticed that I had unrealistic expectations for our get-togethers. I was relying on them to make me feel good and well, sometimes that is just not in the cards. I found that adjusting my expectations allowed me to feel better more of the time. In the ensuing years, I have done a bit of scaling back my activities (but only a bit) and I have stayed very aware of what I was feeling emotionally and physically. Taking naps in the evening, making myself exercise, deciding how I want to feel at an event before I get there and making the effort to have that outcome. For instance, if there is a particular person that you know might push your buttons, instead of planning to be mad, plan to let the comments roll off your back or if that seems impossible, reduce the amount contact with the person while still being polite. Taking care of my emotions has made all the difference for me. I am healthier–I haven’t been sick at Christmas in close to 10 years now–and happier. The winter solstice is on Saturday. The shortest day of the year in the Northern Hemisphere. For the last few years I have made a point of taking this day to relax and reflect. What has the year brought me and taken away? How will the next year look? How can I allow myself to be more of who I am? I quiet the outside noise in order to better hear myself. I invite each of you to do your own version of this little retreat with me. Whether you have a weekend, a day or even an hour. Do what you can and serve yourself a little peace. Wishing you all a happy, healthy and conscious holiday season.